What is the Applications of Aluminum Sheet 1050? Aluminum sheet 1050 belongs to the series of pure aluminum, which is nearly to the 1060 aluminum sheet on chemical and mechanical property. Aluminum sheet 1050 is mostly replaced by 1060 aluminum sheet. According to the international standard principles, the aluminum content must reach more than 99.5% for qualified products. According to Chinese aluminum alloy standards (GB/T3880-2006), the aluminum content Aluminum sheet 1050 must reach the 99.5%. 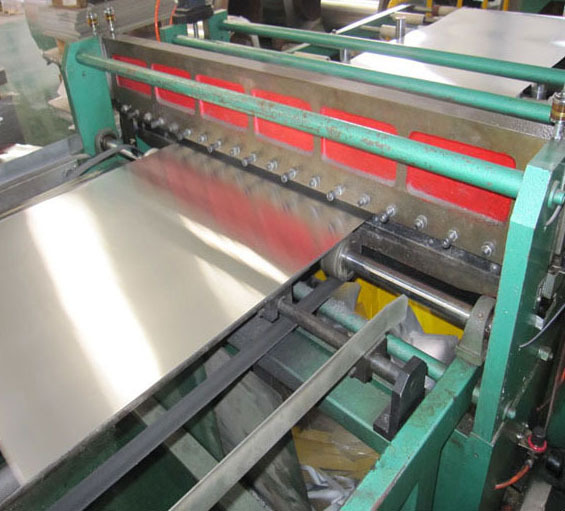 Because there is no other Technical elements, the processing of 1050 aluminum sheet is simple and single and low price. Aluminum sheet 1050 is widely used in the common industries. As the industrial pure aluminum, Aluminum sheet 1050 features High plasticity, corrosion resistance, excellent electrical conductivity and thermal conductivity. But 1050 aluminum sheet also has some disadvantages including low strength, poor machinability, which can be welded and gas welded. Aluminum sheet 1050 is widely used in Daily necessities, lighting, reflector, decorations, chemical industry containers, heat sinks, signs, electronics, lamps, nameplates, electrical appliances, stamping parts and other products. The special applications including Chemical Equipment which require high corrosion resistance and low strength requirements.